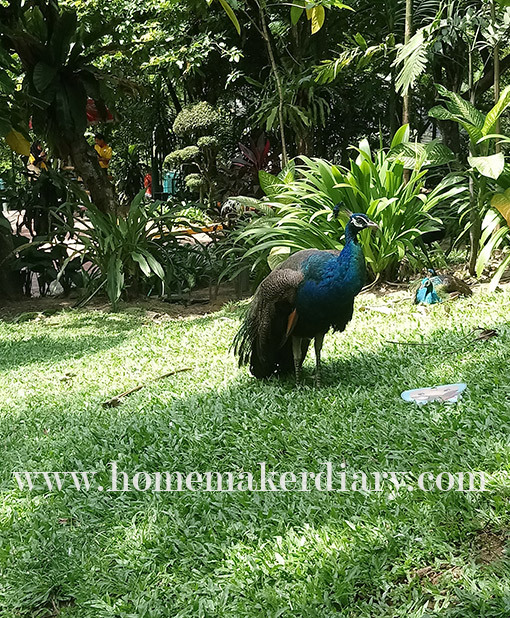 It’s been almost 8 years since our last visit to KL Bird Park. We went again last weekend because my eldest son requested for it. As a birds non lover, haha..I definitely don’t enjoy having to guard myself from being followed by all those birds. But then a mother must do what she must do, right. The rate for the entrance ticket is RM27 for adult and RM13 for children above 3 years old. That’s the rate for locals with Malaysian identification card, mind you. The bird park is quite large, and with the current weather, be warned that you’ll be sweating so bad even before 12 noon. Oh, do you know that birds don’t sweat? I just read the info in one of the exhibition area on the way to exit. 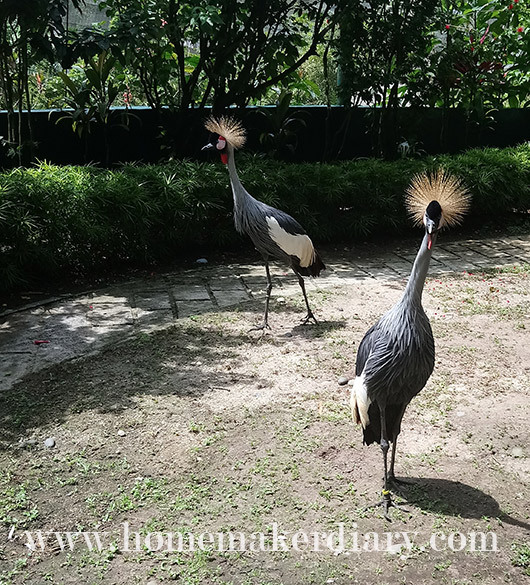 If you are there during 12.30pm and 3.30pm, go watch the bird show. Son #1 was not happy because he was not selected as a volunteer in the show. Maybe next time we’ll go again. 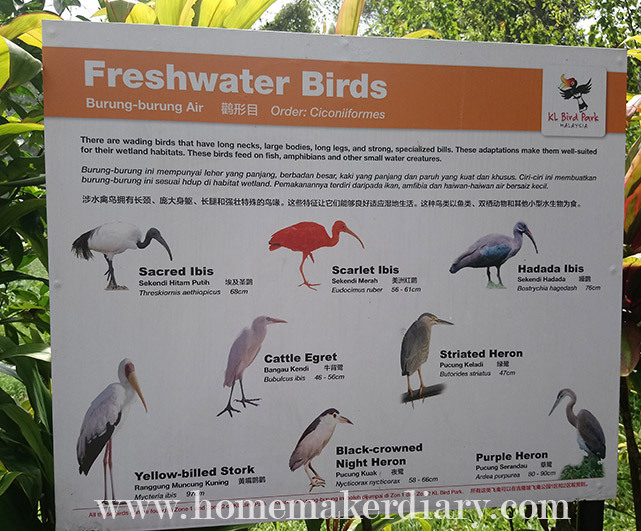 On the opposite side of the bird show area, you can see all these freshwater birds like ibis, heron and stork. 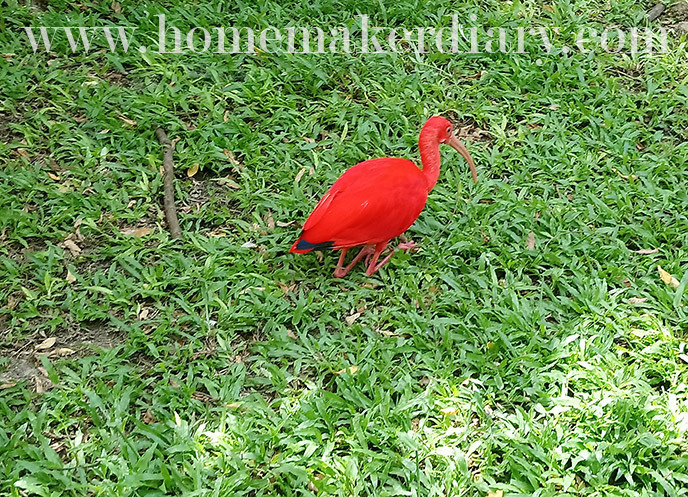 This is how a scarlet ibis looks like. 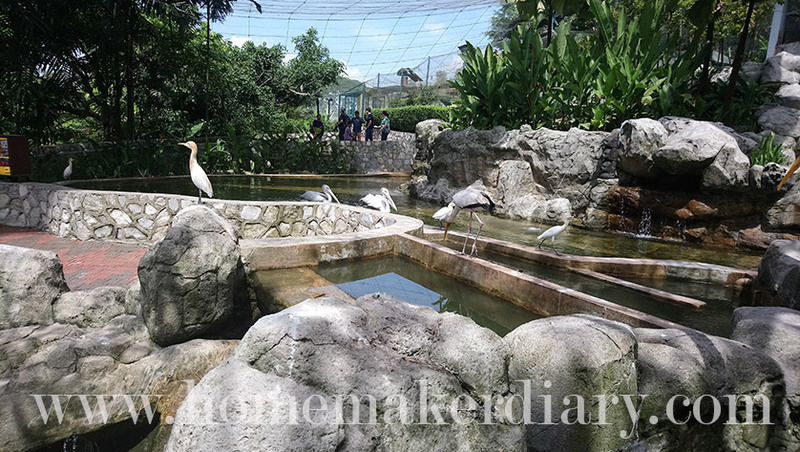 From there you’ll get to see a place where there are crane, mandarin duck and koi in the pond. Make sure you bring 50 cents coins with you if you want to buy the fish & bird food from the machine. 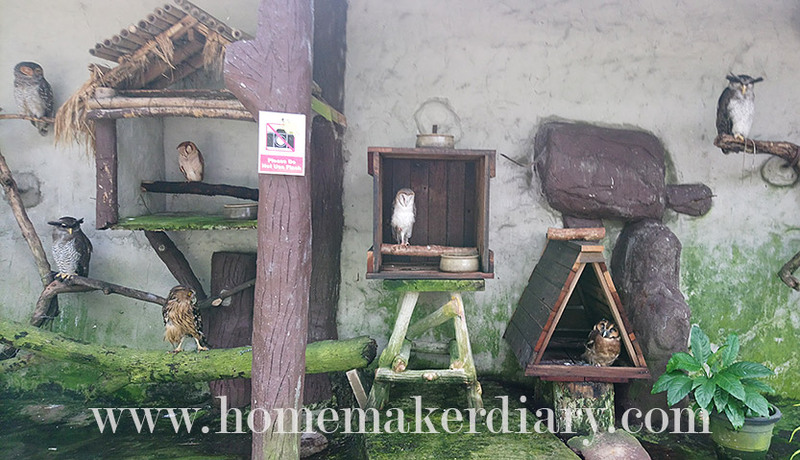 The owls are having hard time trying to catch some sleep because there are so many visitors during day time. Pity them! On the way to the bird show area you’ll pass by photo booth area. For RM38 you get to take pictures with all these birds on your head, on your arm and even on your thigh. Those cockatoo, macaw, parrot and lori are so cheerful and colorful. The picture will be printed and put in a paper frame. 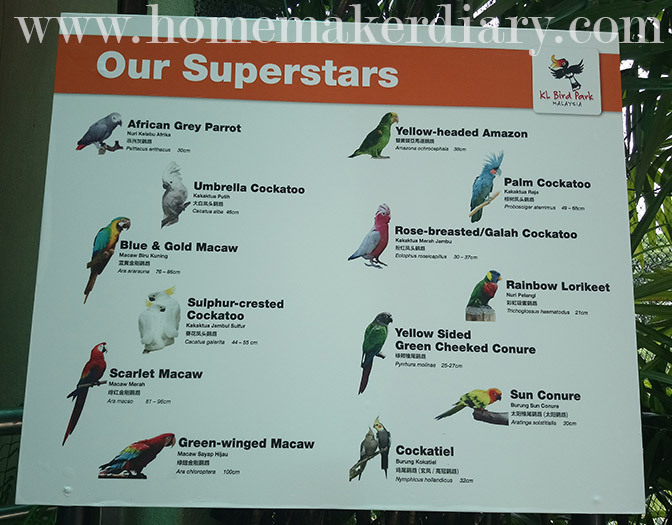 Very nice for your memory sake in KL bird park. Oh, no outside food and drinks is allowed so be prepared to pay for expensive bottled and can drinks. Overall it was a fun but definitely hot and tiring trip, especially when you have to carry a toddler on your shoulder most of the time.